Published: Oct. 14, 2018 at 11:37 p.m. 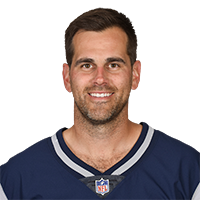 Published: Aug. 25, 2017 at 10:14 p.m.
New England Patriots placekicker Stephen Gostkowski kicks 45-yard game-winning field goal against the Detroit Lions. Published: Sept. 22, 2016 at 10:24 p.m. Published: Dec. 6, 2015 at 07:15 p.m.